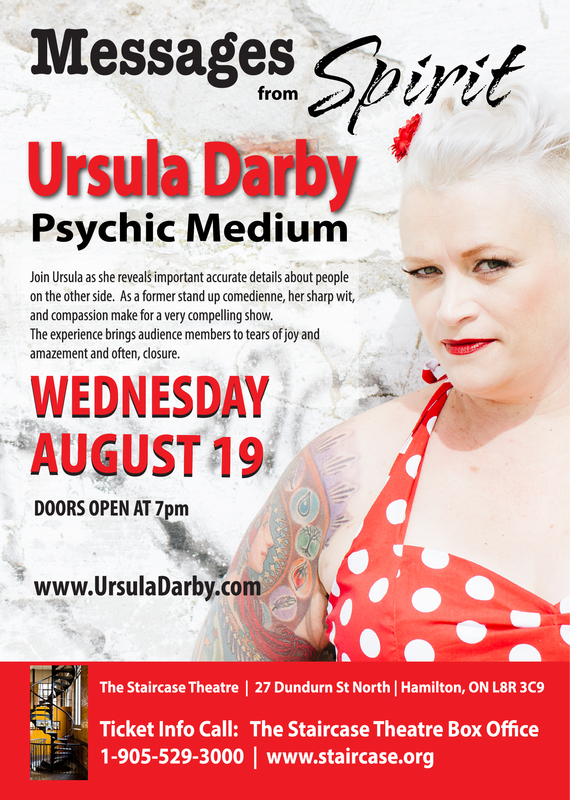 Ursula astounds audiences with her unique ability to communicate with the spirit world. As a medium she delivers messages to loved ones from those that have passed on. She reveals accurate details about their presence, activities, characteristics, often including their names and personal connections not shared with anyone but the recipient of the message. These spirits reveal themselves to her and pass on information that brings members to tears of joy and amazement and often, closure. As a former stand up comedienne, her sharp wit, and compassion make for a very compelling show.